Many missionaries, in spite of the best of intentions, come home prematurely from the mission field, and as Jonathan Lewis explains, there are multiple reasons for “attrition being in its simplest form, the situations that cause missionaries to leave the field prior to when they and the church thought.” According to the ReMAP (Reducing Missionary Attrition) project study, conducted in the mid-1990s several reasons for attrition may be unavoidable, but of preventable reasons, four stood out prominently. Spirituality This includes issues like Lack of Call, Inadequate Commitment, Immature Spiritual Lifestyle, or Personal Concerns. Spiritual issues are major causes that will drive missionaries home. With 24.3% of missionaries claiming that some kind of spiritual problem was the cause of them leaving the missions field. Relationships – We all know that healthy relationships are needed in order to flourish anywhere God leads us, yet 15.8% of missionaries who have left the field claim it was problems with other individuals – whether it was the sending agency, peers, or local leaders – that drove them away. Inadequate Training – A total of 9% of ex-missionaries claim their leaving stemmed from inadequate training, poor adaptation, or even language problems. A majority of these problems are because of inadequate preparation for the mission field. 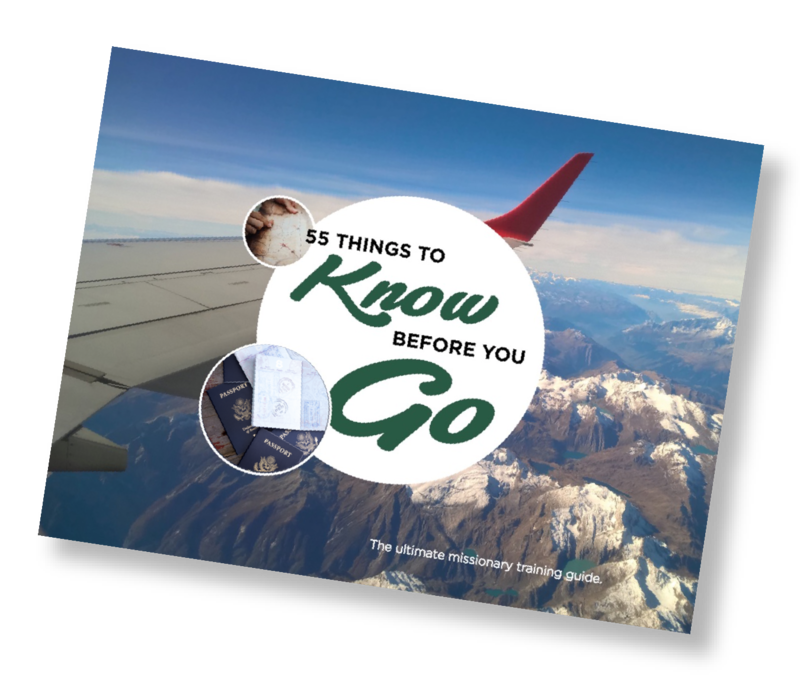 Yet, most missionaries are unaware of what they should know before they experience the mission field. Lack of Support – More than 8% of missionaries that leave the field do so because they feel like they lack home support. Therefore the majority of these missionaries will return within their first two terms overseas. This is extremely prominent with new believers, who want to go out and spread their newfound faith. Unfortunately, a majority of them don’t have support from churches or families. But now, the younger generation doesn’t fit this “missionary model” that the older generation had set in place. This is because as the times change, so do the people. There is a multitude of issues that cause these younger generations to leave the field (as mentioned above). Because of this, there is no single solution to fix this problem. Since it’s an individual case for each missionary, helping each missionary to remain on the field takes a very individual approach. Still, at Bethany Global University, we believe we have found a way to help future missionaries go and stay longer, by providing an opportunity, while preparing as missionaries to participate in what we call a “guided learning experience” to help them see what that commitment will take. We call it Global Internship. Global Internship was created in order to prevent attrition, to impact our students, and show them what is to come with the title “missionary”. Global Internship works together with on-campus training in order to create a transition that helps our students become missionaries more seamlessly. Global Internship was made to fight problems that lead up to attrition: lack of support, unhealthy spirituality, relationship problems, and especially inadequate training. Many missionaries feel alone and even depressed while on the mission field, and that is when Satan is able to sneak in and get them to question the calling that they were so sure of before going on the field. Your team becomes like family to you, you begin seeing them as those who you love, but, unfortunately, who you are able to lash out at when the stresses of being in a new culture are too much. Global Interns are been sent as teams with other students from campus, providing familiarity and moral support. Friendships have already been made, and there is someone to keep the student accountable while on internship. This is so that they may be used to it when they go on the mission field by themselves. We also make it a must that the students develop prayer and financial support for themselves so that there is support coming from home. When you know that there are people who believe in you enough that they offer to give up both time and money for you, you begin to believe in yourself. Many missionaries feel unsure of their relationship with God while on the mission field because they either aren’t sure of the call God has on their life or personal reasons. There is an immense amount of prayer that happens for the students as they embark on a journey, like Global Internship. But we also encourage the students to approach the internship process as a way to grow in Christ. Each student prays through which country to go to and trusts God’s leading no matter where He’s taking the individual. On Global Internship, spirituality is put to the test. Whether that is because you don’t have the normal place in which to do your quiet time, or because very few Christians surround you. You learn how to adapt your relationship with God and continue to thrive in Him. There are opportunities to confront the spiritual problems you are having and fix them before having to experience this as a career. Plus there are those who are able to work through these issues with you so that you are now able to confront the spiritual issues while on a missions field. Many missionaries go onto the mission field hopeful, but leave it because of a series of problems between them and other individuals, whether that is the organization that sent them, their peers, or even the leadership in the new community. We are trying to prepare our students to overcome relationship issues. We partner with our own sister mission agency, Bethany Gateways, which works to place both Global Interns and our graduates on the field. When difficult situations arise, the relationship students and alumni already have with the Mission helps to build patterns for working out these difficulties. We also work on relationship skills with peers. Many times we have arguments over the small things, and through prayer, we are able to overcome those situations. In placing a student out into the field early, we show them that the leadership there can be different and new for missionaries. They begin to realize the freedoms that come from being born in the United States, and how they, now, need to adapt their lives in order to fit the culture they are living in. Many missionaries go onto the field feeling inadequate, and without the correct training, we do our best in order to make their future in missions a success. Though there are many other places that offer internships, we are unique in the duration: 16 months, it seems a little out of the norm, but we have come to realize it is a perfect amount of time for students to be abroad. You experience culture shock, but there is enough time for the students to fall back in love with the community around them. We send you on this internship after you experience 2 years of classes on our campus including courses such as theology, introduction to missions, leadership, and world religions. With this program, we place you with your peers, and with long-term missionaries to show you what the mission world is, while still gaining your degree and then graduating with 16 months of experience under your belt. students take online courses while on internship, bringing the classroom to the field and allowing them to learn in the context, learn from the context, and learn how to learn – setting personal and specific learning goals. Bethany created Global Internship in order to help those with dreams of serving in missions fulfill those dreams. Our goal is to “take the church to where it’s not.” We want our students and alumni to continue to be successful in all that they do. Toward that end, we have built a program that creates strong teams and networks of support, fosters healthy spirituality, builds strong interpersonal relationships and relationship skills, and merges learning with doing for a strong missionary training program. In so doing, we hope that our alumni will not just go, but will also stay.